I experience a major lack of confidence after giving birth to my first son. One of the significant changes in me is my body and I realize that y hair has weaken and become dry. Even thought I wear hijab, I still take serious care for my hair. After I gave birth I experience major hair loss. My hair can easily coming out even if I coming out gently with my fingers. Hair everywhere in my house and I could not stand it so I cut my hair medium short. Still, during shower hair everywhere on the bathroom floor. I have lack of confidence in front of my husband. I used to have long thick shiny locks but now my hair is dry and weakens. So I find a solution. I saw these 21 days of confidence challenge and it’s a kit where it has all of the products I need to help with my current hair problem. They also have a 20% promotion so I sign in instantly. This is my experience and review using BioTHIK products for 21 days. 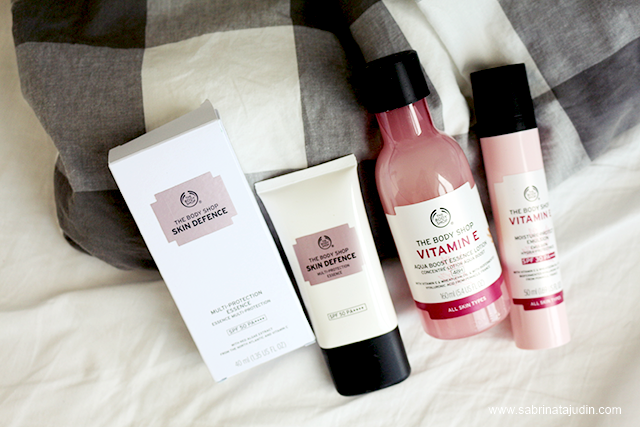 Here are the full set that I got contains the entire product from cleansing, conditioning, repairing and more. With easy 3 simple steps to follow called the tri active system - Cleanse, Recovery & Care. It helps to keep scalp in optimal condition to revitalize stronger re-growths. Hair loss also cause by premature & lack of nutrients. I think this is because that I'm fully breast feed my baby boy and we "share" nutrients. With this Tri-Active System it helps to give my hair scalp natural nutrients to generate stronger hair. First is ACTIVE CLEANSE, this BioTHIK® Active Protein Keratinized Cleanser is a gentle daily scalp cleanser that has fruit acid and carob tree oligopeptides that is suitable for any scalp type. It BioTHIK® Active Protein Keratinized Conditioner will removes all excess sebum and helps to increase Hairbreaking force by 40.9%. Also it will help to keep your hair soft & moisturize. 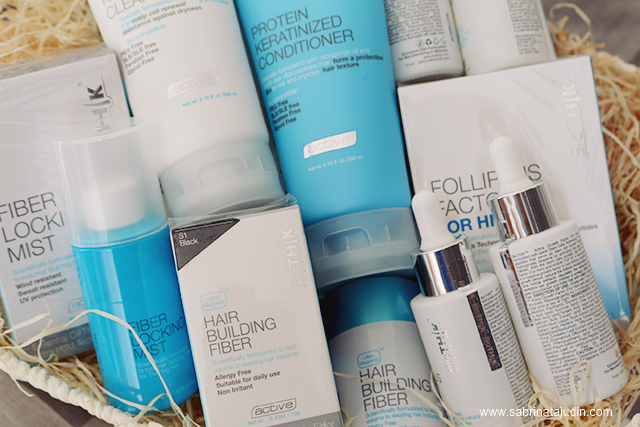 After cleanse continue with the BioTHIK® Active Protein Keratinized Conditioner. This conditioner is enriched with Mongongo Oil that has antioxidant and UV protection properties suitable for all hair type. 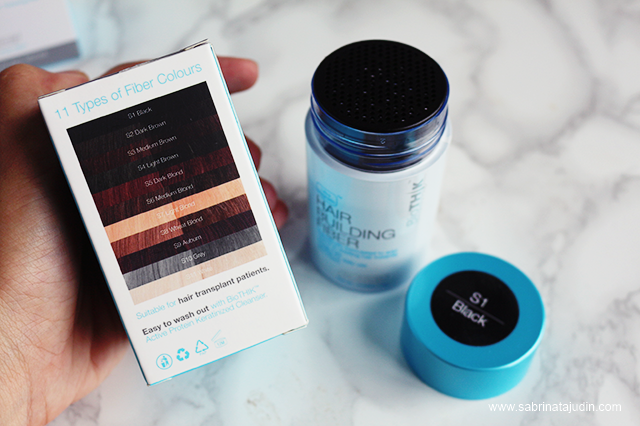 This helps to protect your hair from heat styling and hair drying too. Step 2, the ACTIVE RECOVERY. It has 2 variance. One is for men & one if for Female. I give the BioTHIK® Active Folliplus Factor - For Him to my husband and he loves it! The one I am showing you here is the BioTHIK® Active Folliplus Factor - For Her. It helps to slow down the aging follicles in Female Pattern Baldness. It contains apple stem cell extract and pea sprout extract that helps to fight against hair follicle aging process. I love how it comes with the pump with the ml measurement. You will need 3-5ml of this, massage it on your dry hair scalp. Lastly is the ACTIVE CARE. Use both products together. 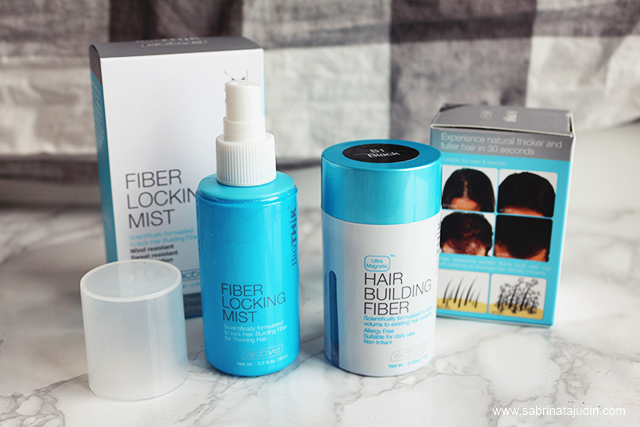 The BioTHIK® Active Fiber Locking Mist will help lock the fiber application from the BioTHIK® Active Hair Building Fiber. It will last longer through wind and sweat. The BioTHIK® Active Hair Building Fiber will help to build volume in just 30 seconds. It comes in many types of hair colour to match your hair colour. It is made with 100% natural keratin fiber. So this will help to cover sparse area on your head. I started my 1st day on the 1st of September. I cleanse my hair like I normally do. 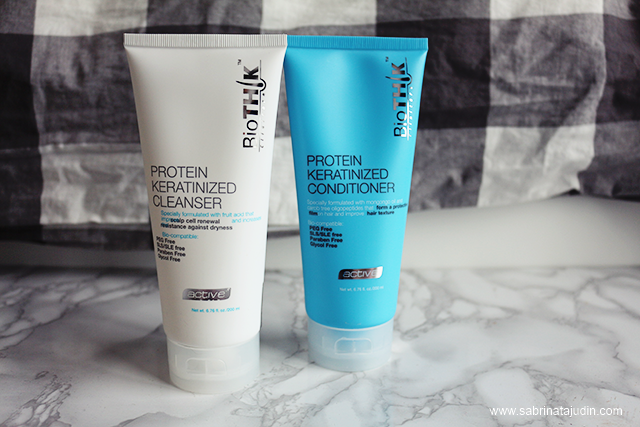 I am using the BioTHIK® Active Protein Keratinized Cleanser & BioTHIK® Active Protein Keratinized Conditioner. 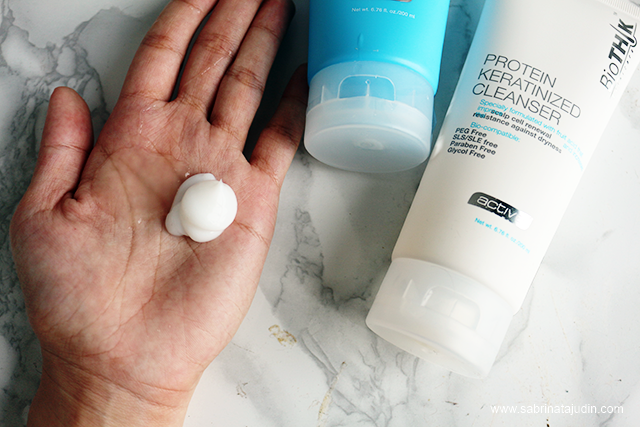 I experience that the cleanser really leaves my hair scalp feeling fresh and clean. The conditioner also gives a boost of moisture to my hair. I cleanse my hair 1-2 times a week. 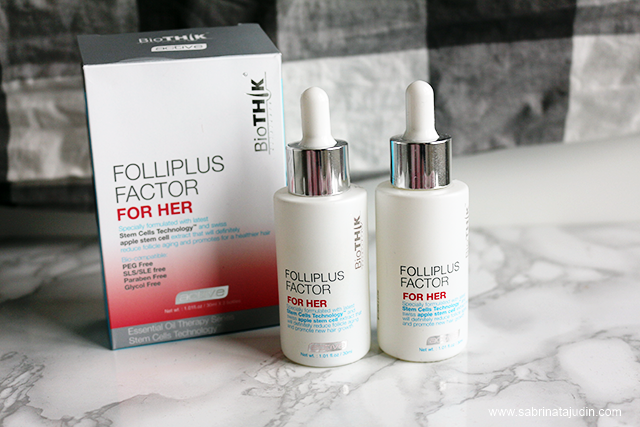 But every night and during the morning when my hair is dry I will apply the BioTHIK® Active Folliplus Factor - For Her. I pump out 3-5ml of this product, the ml indicator on the pump pipe make it easy for me to measure out the amount I need. I massage it on to my scalp and just let it dry. At first day when I use this I felt a tingling sensation on my scalp. Then for the first week, my hair still coming out but I could say lesser than before. After 1 week I still continue the routine where on a few days in the week I will cleanse & condition my hair and every single day use the BioTHIK® Active Folliplus Factor - For Her. I rarely use the BioTHIK® Active Fiber Locking Mist & BioTHIK® Active Hair Building Fiber as I am wearing hijab but I tried this on my fore head area and this does looks like real hair. It helps to make hair look much thicker and fuller. It is easy to remove during shower too. On the second week (14th days) I realize that my hair is not dry as before, when I comb my hair through with my finger, lesser hair coming out. 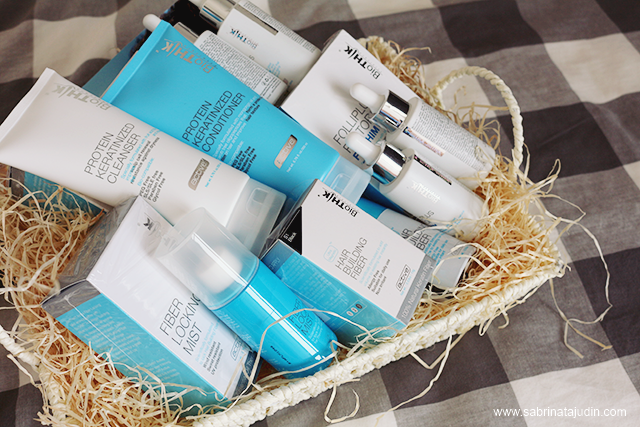 I felt happy and really loving the Biothik range now! Moving on for a few more days to complete the 21 days of confidence. Today reach the 21st day of the confidence challenge. I honestly say this; I’m so happy I find a solution to my hair problem. There is still a few hair strands coming out when I comb my hair, but not majorly worst like before. I find that my hair is much stronger, and not dry. I'm so happy! 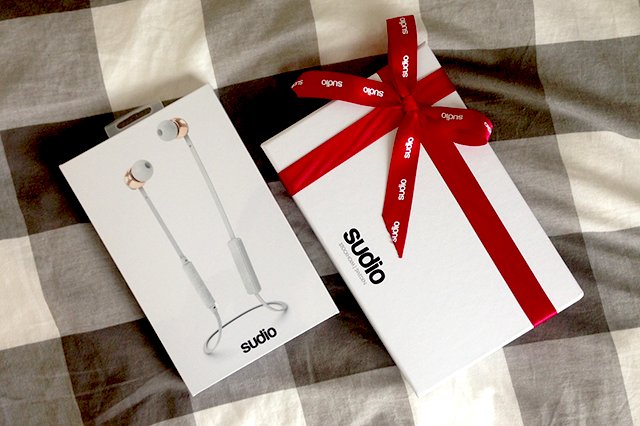 My second review to this cool earphone from a brand called Sudio. This time it came out with a wireless series where it connect to your phone bluetooth for that tangle free experience haha. You know how annoying earphones can be when it comes to its wires. I pick up my self in the color option, White Rose Gold. Of course, it is like my favorite color combination! The Sudio VASA BLA comes in this really sleek packaging. Let see what is in the box. As you open it, it contains 2 box. The one on top is the earphone and the leather case and manual on the bigger bottom box. You can store this earphone in the leather case that also comes with the same color as the earphone. I find that this case is very convenient and helps to protect and keep your bag neat. The Sudio VASA BLA earphone comes with a charger, as this earphone is wireless, you will need to charge it. I find that the baterry does not run out that fast which is really great. You can charge this through your laptop or of you have an extra USB plug head, you can also charge it directly to the power point. The buttons are located on the middle part, that is also the charging port hole located. It has a simple, user friendly design that is really neat and I really love how it looks like. It also comes with a few other ear plug size to fit your own comfortable experience when using it. You can use the rose gold pin to attach this earphone on your shirt. To connect, simply press hold on the "+" button until blue light appears and then red light will start blinking and it means bluetooth pairing is now discoverable through your phone (don't forget to turn on your bluetooth too). Simply select the Sudio VASA BLA signal and it is now ready to be use. *Check out my Instagram! I am giving away this earphone worth RM398 each! Son & Park is a brand created by two Korea's top makeup artist. They are known for their best seller Beauty Water. Now they are available in Malaysia! Hermo bring this brand exclusively for you! I got some picks from the brand and let see what I got. Pretty much everything is makeup stuff! The first one is this eyeshadow palette called All That Shimmering Kit. Features shimmery eyeshadow with cool natural tones with a hint of plums. The color pay off are pretty good. Below are the swatches. They also have in different styles of colors you can choose from! The second one is this unique stick foundation that comes with a very high quality flat foundation brush on the end. This is the Glow Ring Foundation. I pick this foundation in the shade #23 Natural. This foundation is infused with moisturizing ingredients such as macadamia nut oil and shea butter. The coverage is medium to high coverage. Builable and has a nice dewy finish. I am very impressed with the brush it came with. Similar to the popular flat top kabuki by Sigma! Usually brands put brushes in their product that end up we are just going to put it else where because if how useless they are, but this one does not do that. It really acts like a very good high quality foundation brush. The brush is made out of synthetic fibers, very dense and flat. Perfect fof buffing in cream foundation like this one. The third item is this Color Cube Air Lip Tint. I pick this one in the shade #11 Peanutmilk. A very nice natural peach color! So me! I love it! The lip tint is very creamy and hydrating and pigmented. Comes in this unique Square shape tube that can be stack together. This is the swatch for the Glow Ring Foundation in #23Natural and the Color Cube in #Peanutmilk. Lastly is this awesome lengthening mascara. This mascara gives a nice separating and curl to your lashes. This is great if you want a natural looking lashes. The head of this mascara is curve and slim, this makes it easy to lift up your lashes wile applying it. That is all for today! Can wait to play around with these more soon! 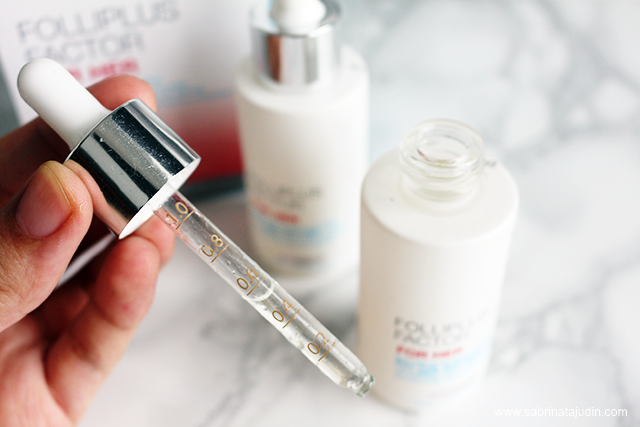 Pampering my skin is one of the best ways to help me relax and makes me happy! 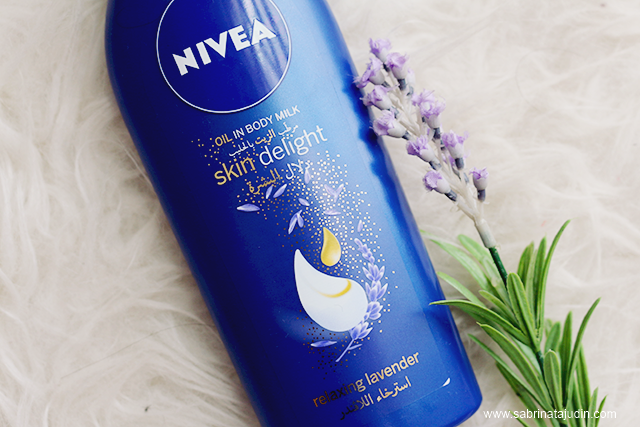 So I like to try out lots of body care products and my recent favourite has to be the new NIVEA Skin Delight! It moisturizes and smoothens my skin during my pampering time, leaving my skin feeling silky soft and smelling good all day long with its long-lasting fragrance. Enriched with nourishing body milk and caring oil,this body milk features a pampering “Oil in Body Milk” formula, which has all NIVEA best caring properties to make sure your skin is well nourished and smooth. It comes in a signature blue NIVEA bottle and available in two floral scents. One is Glowing Rose &the other one is Relaxing Lavender. Glowing Rose is perfect for the special occasions. 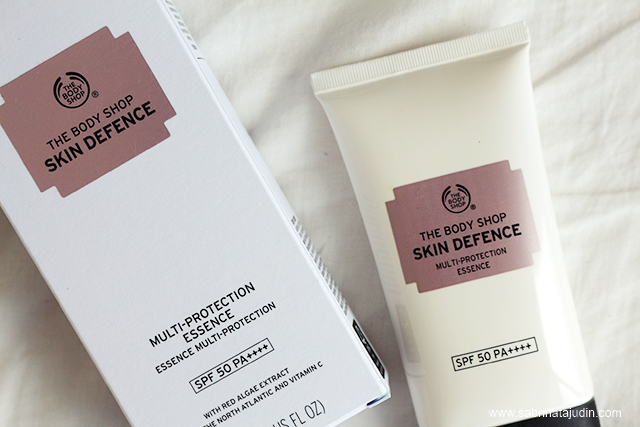 I like to use this before going out; it gives a nice day scent which is perfect for a date day with my family. 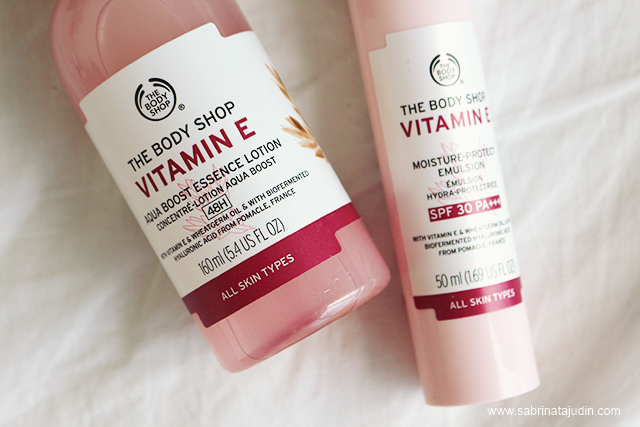 It has a nice feminine rose scent which is soft and not too overpowering. 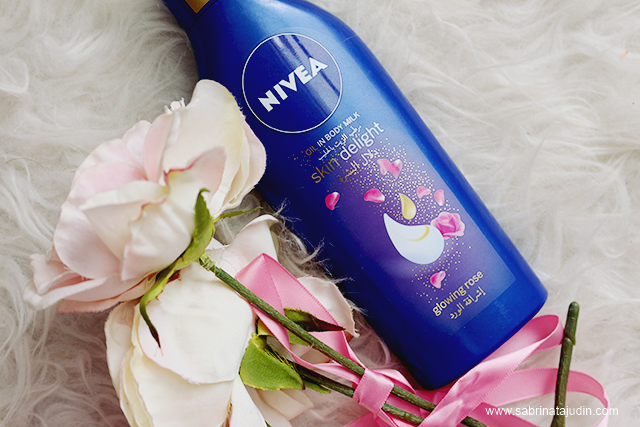 I like to massage NIVEA Skin Delight first on my hand and then apply it all over my body, right after a shower and pat dry my skin.My skin feels irresistibly soft and smooth, and I feel I’m ready for a great day ahead with the lovely rose fragrance! The one that I love to use after my night warm shower is this Relaxing Lavender. It has a sensual calming scent that keeps me calm and feels fully rested during sleep. The scent is not too overpowering and I love it that way! After shaving my leg, I also apply this body milk to keep my legs hydrated and prevent it from dryness, which may cause my legs feel itchy. The texture of this body milk is very creamy but easy to blend in as it absorbs pretty quick after you massage it gently on to your skin in circular motions. Use this on your hands and all over your body. I like it best after a warm shower! 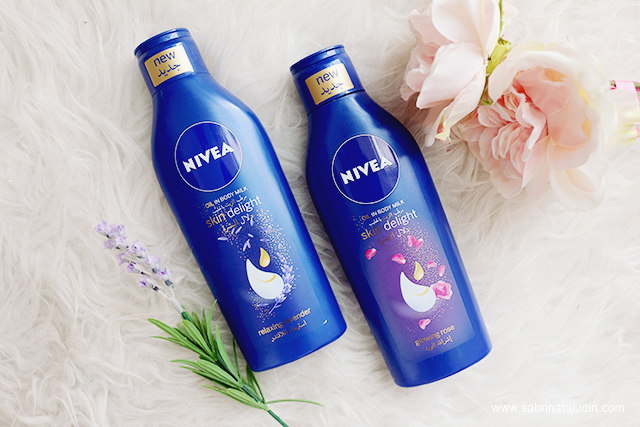 Get NIVEA Skin Delight, either the Glowing Rose or Relaxing Lavender or just both <3 at any hypermarkets, supermarkets and pharmacies nationwide. Normal Price : RM16.50 (250ml), RM21.90 (400ml). 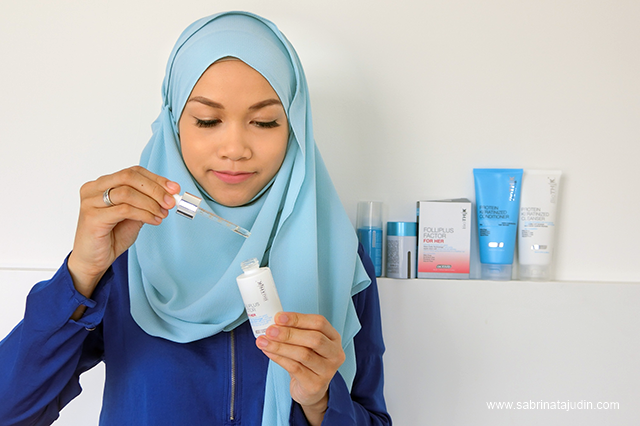 *Also go to my Instagram Page @sabrinatajudin and get to know how you can win a pampering kit from NIVEA worth RM80. 3 winners will be picked every week!